With over 10,000 people enrolling in Medicare every day over the next 10 years, the National Council on Aging has put together a series of commonly asked questions and answers about Medicare. To read the full article, please click here. The National Council on Aging and their website http://www.ncoa.org/ is an invaluable resource for anybody with questions about Medicare. 1. How do I enroll in Medicare? Is it automatic when I turn 65? 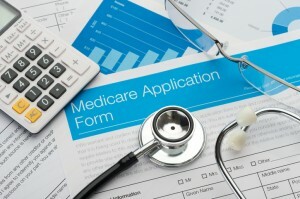 To enroll in Medicare, most people need to contact Social Security directly. Do this before your 65th birthday to avoid a lapse in health coverage. Some people—including early retirees receiving Social Security and those with Social Security disability or Railroad Retirement benefits―are automatically enrolled in Medicare when they become eligible. You can enroll online, at your local Social Security office, or by calling 1-800-772-1213 (TTY 1-800-325-0778). 2. When do I have to enroll? You have a 7-month window around your 65th birthday to enroll. This is called the Initial Enrollment Period. After that, you can still enroll in Medicare, but you may have to wait for a designated special/general enrollment period to do so. 3. What if I’m still working and have insurance? Do I need to enroll at age 65? If you are working past age 65 and have insurance from your job (or your spouse is working and you get health coverage that way), you should contact your plan and review how your coverage will change before deciding whether you need to enroll in Medicare now. Medicare covers a wide range of medically necessary screenings, supplies, and procedures. Some are free, including many preventive services. The Medicare & You handbook, which Medicare sends out every year to beneficiaries, provides a summary of many covered services. For more specific coverage details, Medicare.gov contains a helpful online search tool where you can find whether a test, item, or service is covered. You also may speak with your doctor, or you can contact Medicare directly at 1-800-MEDICARE (1-800-633-4227) to verify coverage based on your personal situation. 5. I’m going on a cruise/overseas trip. Will Medicare cover me if I need emergency care when I’m away? Medicare covers health care for people when they are physically located within the 50 U.S. states, District of Columbia, and U.S. territories. In rare cases, Medicare Part A may cover medically necessary services in a foreign country when a foreign hospital is closer than a U.S. facility. In some cases, Medicare Part B may cover medically necessary health care while on board a cruise ship within the territorial waters adjoining the U.S. Generally, Medicare won’t pay for services you get when a ship is more than six hours away from a U.S. port. If you have a supplemental insurance policy, you should check to see if it covers medical care abroad. Otherwise, it is recommended to purchase travel insurance before your trip, which can help to offset the costs of overseas emergency care if it’s needed. 6. How do I pay for my Medicare? If you are receiving Social Security benefits at the time you enroll in Medicare, your Part B premium will be deducted automatically from your monthly check. If you enroll in a Medicare Advantage or Part D prescription drug plan, typically you will pay the plan directly for your premium. 7. How can I find out how much I’ve paid for Medicare services this year? Medicare offers a free, confidential online service for people to access information about their benefits and services, including how much they’ve paid for services. See how to create an account. You also can contact Medicare directly at 1-800-MEDICARE (1-800-633-4227) with any questions about enrollment, payments, claims, coverage issues, and more.